The Cornwall Community Foundation helps strengthen and sustain Cornish Communities and I have recently become a member of the Cornwall 100 Club. The Cornwall 100 Club – a group of like-minded businesses believing in social responsibility at a grass roots level. 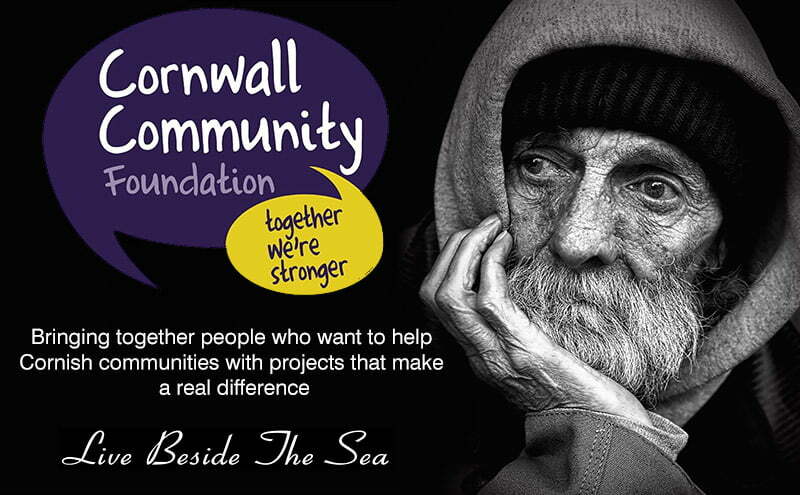 We have come together to offer financial support to Cornish communities, making a real, positive and measurable difference to life in Cornwall. Membership also helps to enhance and promote our business reputation. I attended my first panel meeting yesterday where we discussed the merits of each application from people who are raising money to help their communities, whether it is to update the local village hall, help the elderly be less isolated or organise food that would be otherwise thrown away to go to families living below the poverty line. Cornwall can boast fabulous beaches, stunning scenery and great eateries and is one if the top ‘staycation’ destinations in the UK. However, we are a very poor county with high rents and property prices, low pay and work that is often seasonal so many families are struggling. We only had so much money in the pot to go round several applications and it was a really difficult decision to decide who should be given the money, so not an easy task. I was struck by the amount of work that individuals had put into their applications and the diversity of the projects that they were trying to support. I went out a bought an extra lottery ticket as all off these communities deserved some financial help and there was not enough to go round. SO – if you are thinking of relocating to Cornwall, or buying your own little holiday home in our beautiful county, do get in touch and let me know if you can help with either your time or your donations. You may not live here yet, but are probably ’emotionally domicile’ to Cornwall as this is where your heart is.